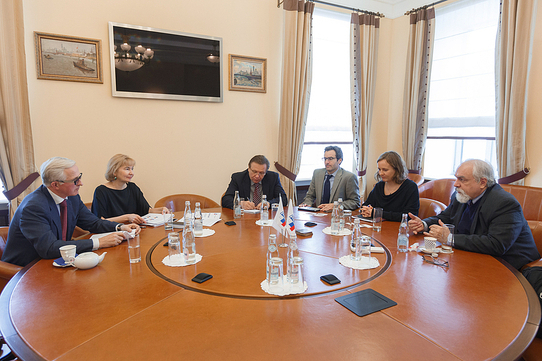 President of the RSPP, A.Shokhin, Managing Director for Economic Policy and Competitiveness, M.Glohkova, and Managing Director of International Relations, M.Larionova, met with the IMF staff team to discuss the current situation for entrepreneurship and business environment in Russia on April 22, 2014. The consultations were held within the framework of the IMF mission as part of the IMF annual consultations with the Russian authorities as part of the so-called “Article IV Consultation”. 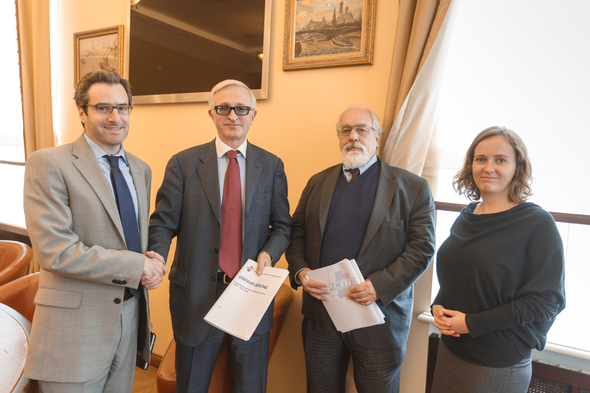 The discussion focuseRSPP President welcomes mission as part of the International Monetary Fund (IMF)d on the findings of the RSPP annual report on business climate in Russia.